Recent reports suggest that the level of consensus among scientists working in relevant fields on the subject of climate patterns is 97%. This suggests that the body of evidence they are generating or working on indicates an authentic trend in one specific direction. Despite this, campaigns that distribute persuasive arguments to the contrary are everywhere. Their function may be to delay or prevent a response involving significant changes in how we use energy, the resources exploited to do so and the amounts of atmospheric pollutants that are produced as a by-product of this activity. Therefore, measures that promote this may imply lifestyle changes implemented by individuals and societies. Some people may not be comfortable with these ideas, which may incline them towards arguments that dispute the findings of the so-called ‘climate consensus’. Counter-arguments to those that indicate the scale and progression of climate change in the 21st century are popular, particularly among those who are happy with and feel they benefit from maintaining the status quo of global energy-use patterns. However, scientists have found that they are often inherently contradictory, and are based on evidence or analysis that is less than robust. For example, ‘climate sceptics’ often seize on the results of a NASA satellite study that indicated that the overall level of Antarctic ice has been increasing rather than declining. Unfortunately, a closer look at this study indicates that these ‘gains’ have been in the ice that accumulates in the sea around Antarctica as its cold season encroaches. 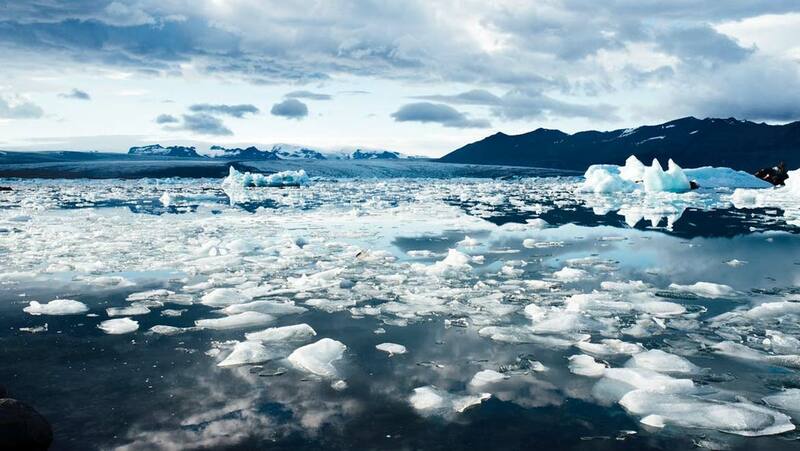 This ice melts and contributes to sea levels in the warmer season; therefore, more sea-ice essentially means rising seas, which is an inherent risk of climate change. Furthermore, the actual land-ice of Antarctica is shrinking (at an average rate of 70 gigatons a year), which is inextricably indicative of climate change in that area, at least. Contradictory arguments such as those discussed above may be attractive, because they offer a relatively simple rebuttal to opposing findings in the absence of a deeper dive into the evidence on which they are supposedly based. They also require little or no critical thinking in order to accept them. Therefore, some scientists argue that public information campaigns need to make the process of identifying and negating flimsy or faulty reasoning as attractive as the effort-free absorption of misinformation. To this end, John Cook of the Centre for Climate Change Communication at George Mason University (Virginia, USA) and his colleagues have developed a way of offering factual information on important issues such as climate change that is a new variation on the inoculation theory. The inoculation theory states that an awareness of how an argument functions in order to persuade reduces the probability that one will be in fact persuaded by it. It is enacted by presenting a misleading statement in the context of how it is intended to influence the reader in one way or another, then in terms of how and why its premise is faulty while incorporating correction through the citation of facts. This may encourage individuals to imitate the critical analysis employed in such an ‘inoculation’ when they encounter a subsequent campaign based on another misleading premise. However, the inoculation theory is also subject to some admittedly glaring drawbacks. For example, inoculation-based communications are most effective when they are delivered prior to the dissemination of its intended target. In addition, people who have taken a misleading argument to heart can react to fact-based information that contradicts it as further proof that their new belief is being challenged by lies. This is known as the backfire effect, first described by the political scientists Nyhan and Reifler in 2010. Therefore, Cook and his co-authors proposed a variation on the inoculation theory that operates by detailing the extent and nature of the fallacious reasoning behind it, rather than the facts that may debunk it. Cook has applied this theory to research that confirmed that his new form of informational inoculation is effective in the disruption of contradictory ‘climate denial’ arguments, although this success was comparable to that associated with information that emphasized the relevant scientific consensus. The modified inoculation theory was also implemented in the online course on the subject provided by the University of Queensland, Denial101x. However, Cook and his team at Queensland were also convinced that the method could be refined further. Accordingly, their newest paper, published in the journal Environmental Research Letters on February 6th, documented the development of a simple system to help individuals assess arguments for themselves for contradictions and other forms of logical fallacy. This process consisted of identifying the conclusion of a given argument, then the premises leading to it. The individual is then trained to determine if the argument is deductive or inductive, and whether it is valid. At this point, various forms of fallacy could be identified. However, there are two additional steps, which are to assess the argument for ambiguity, and finally to verify its premises. Using this process, Cook and his co-authors were able to debunk 42 separate contradictory arguments against anthropogenic climate change. It is important to apply critical thinking to any form of communication that presents itself as informational, regardless of how legitimate it appears to be. Many widespread campaigns in the media and on social media based on limited, skewed or distorted facts (and low-quality logic) present themselves as such in this day and age. Resources that balance and help identify potentially misleading positions are also widely available. They are valuable sources of training for improved reasoning, which we should all consider using. John C, Peter E, David K. Deconstructing climate misinformation to identify reasoning errors. Environmental Research Letters. 2018;13(2):024018. Cook J, Lewandowsky S, Ecker UKH. Neutralizing misinformation through inoculation: Exposing misleading argumentation techniques reduces their influence. PLOS ONE. 2017;12(5):e0175799. Gene Editing for Heart Disease?